Yeah they are ridiculously cheap! The same amount of beef would have cost me more than double minimum, depending on its source. So cheap I just had to try buffalo out, who knows I might just discover a cheaper and tastier alternative to beef? 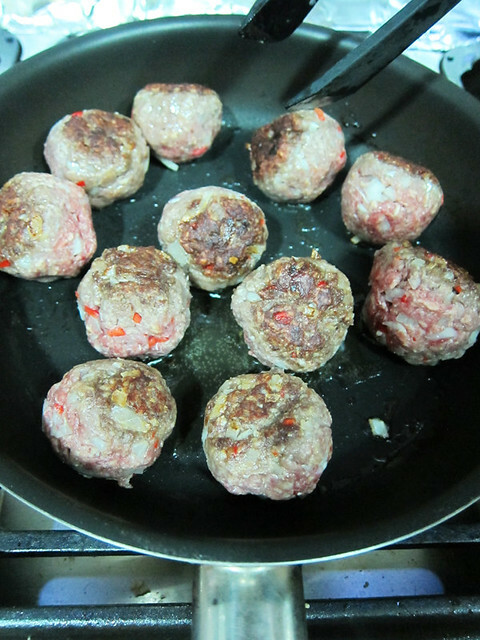 So, I did with the buffalo mince what I would have done with ordinary beef mince – meatballs! # – Buffalo meatball pasta. 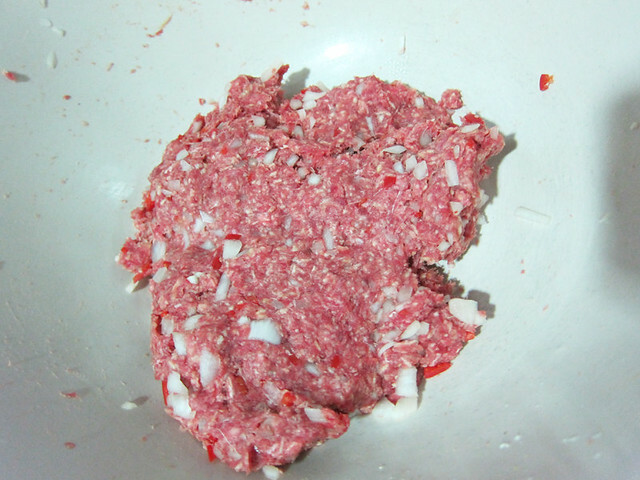 # – First, throw in all the ingredients to make the meatballs into a mixing bowl. 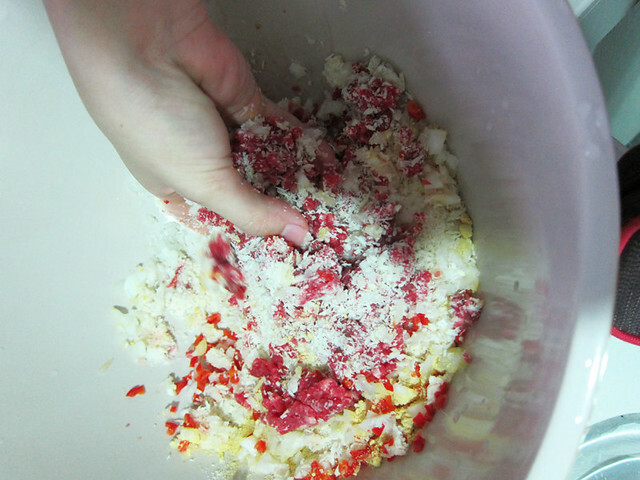 # – With your hands, knead till ingredients are fully combined. # – Shape them into the size of golf balls. This recipe should yield around 12 meatballs. # – Pan fry them in a pan until crispy all over. There’s no need to worry about whether they will cook through. Set aside. 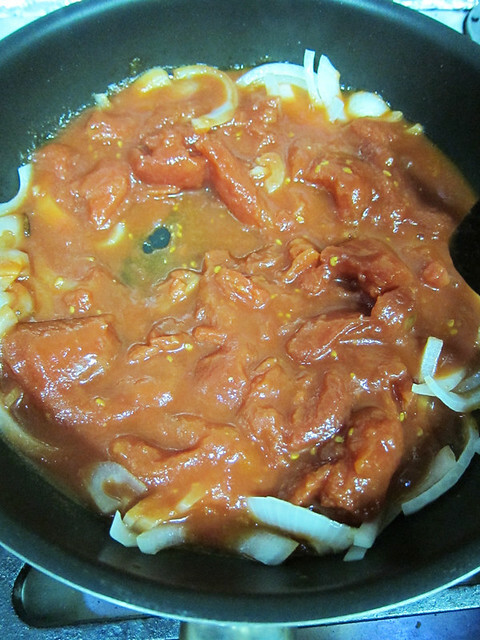 # – It is not time to make the sauce. 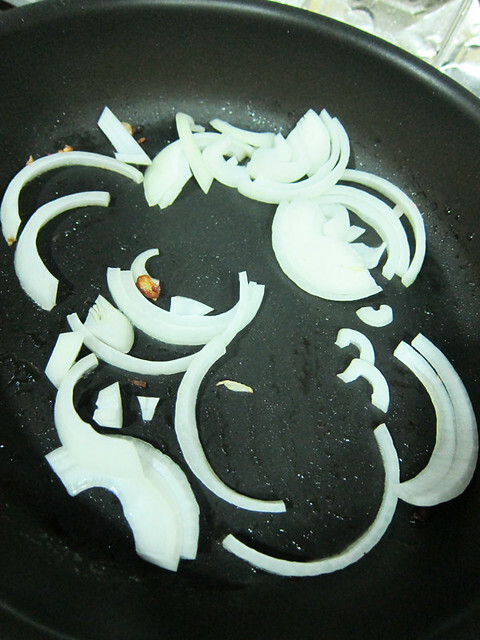 In the same pan, throw in the sliced onions and saute until translucent. 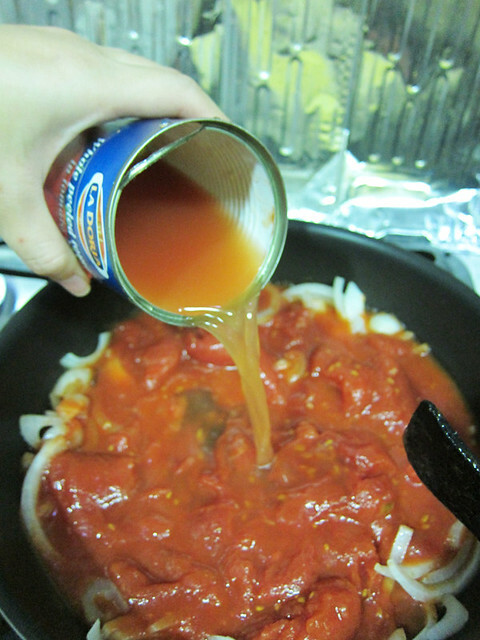 # – Next, pour the whole can of tomatoes in. # – Followed by 1/2 a can of water. 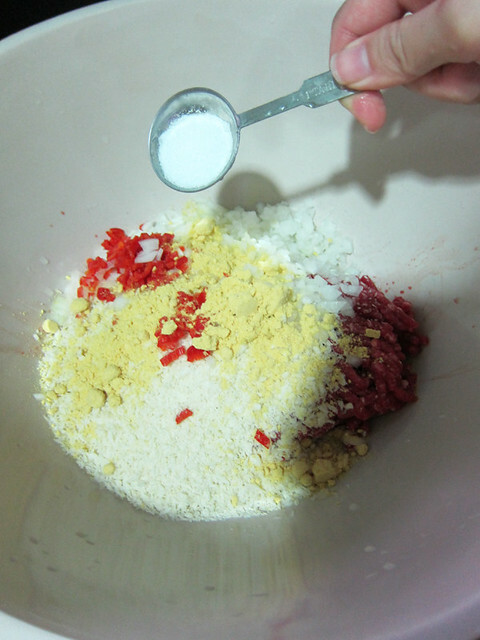 # – Add the fennel powder, rosemary powder, honey, salt and sugar into the mixture. Stir to combine. 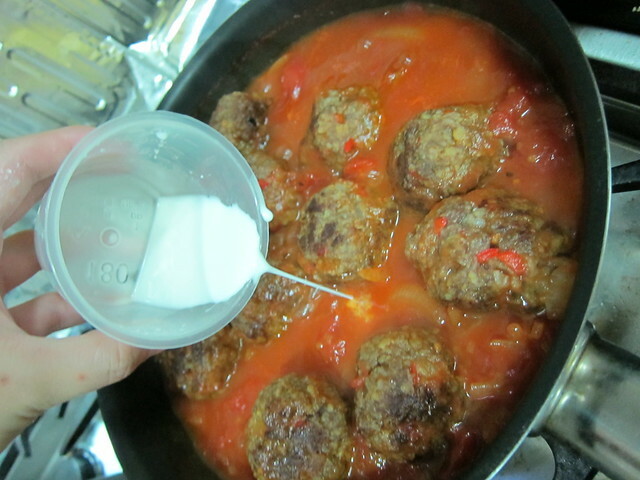 # – Now add the meatballs back into the sauce. Allow to simmer on low heat and uncovered for 15 minutes. Stir occasionally to prevent sticking. In the meantime, cook some pasta. 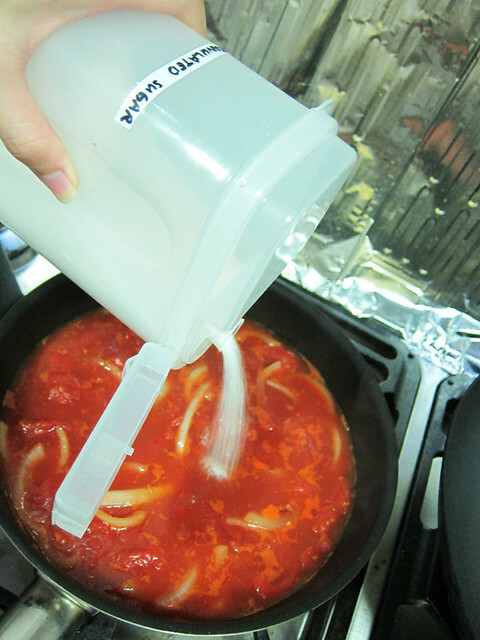 # – This step is optional, but if you like the sauce to be thicker, stir in 1 tablespoon of cornflour dissolved in 2 tablespoons of water. 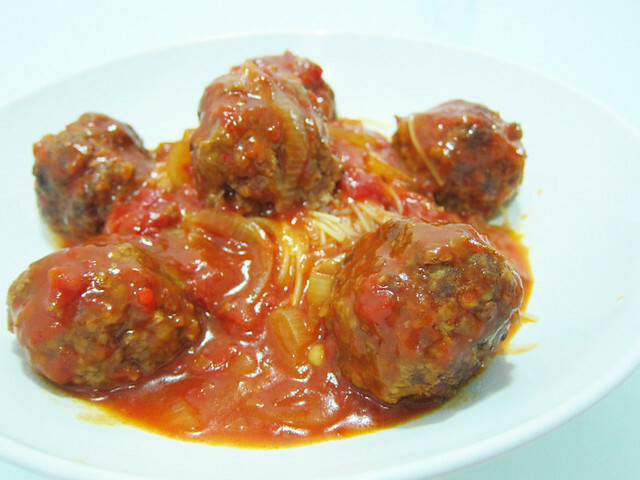 # – Serve the meatballs and sauce with drained pasta and serve immediately. 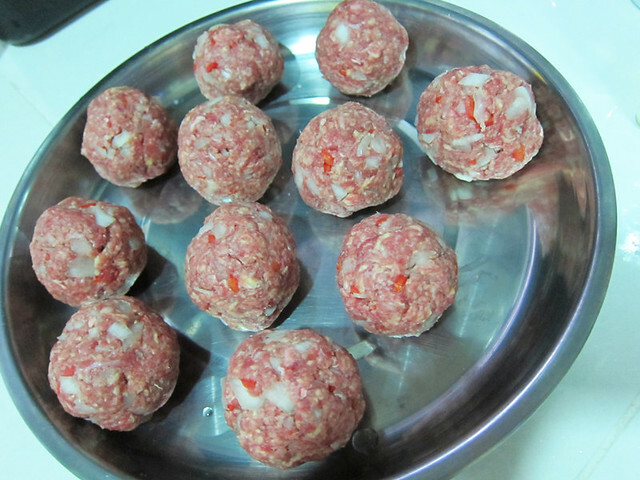 # – Juicy, meaty buffalo balls. 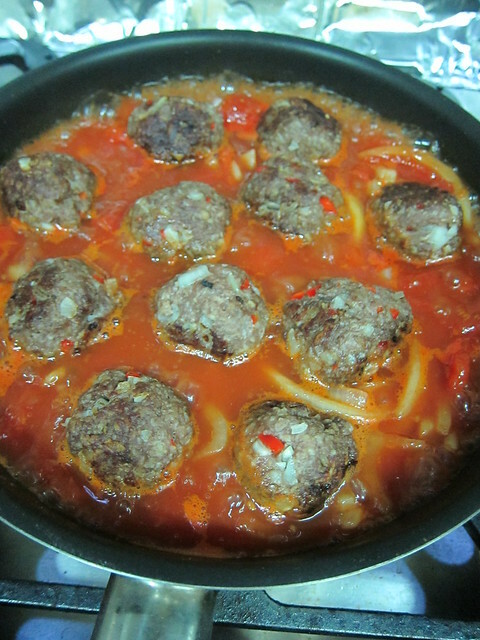 The buffalo meatballs were absolutely delicious! The smooth, juicy texture of the meat and the crunchy onions made a wonderful combination. The chilies gave them a nice kick. I’m so glad I got an extra packet of buffalo mince. Next up, buffalo burgers! 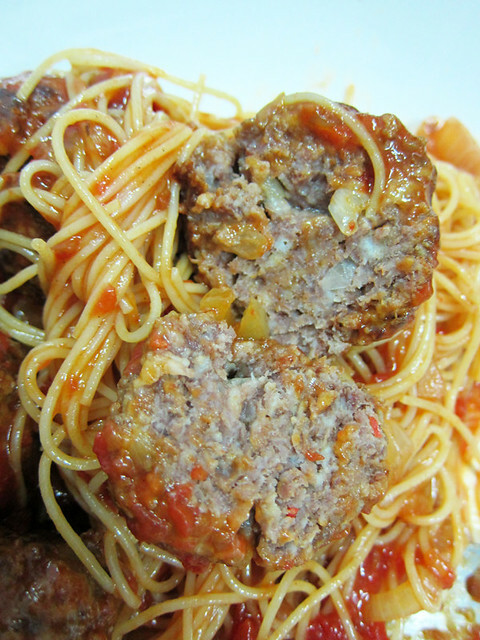 Stuffed pork meatballs pasta recipe. A recipe of caramelised potato and beef with onions. Charlie & I are going to win PURINA ONE Picture of Health Contest! 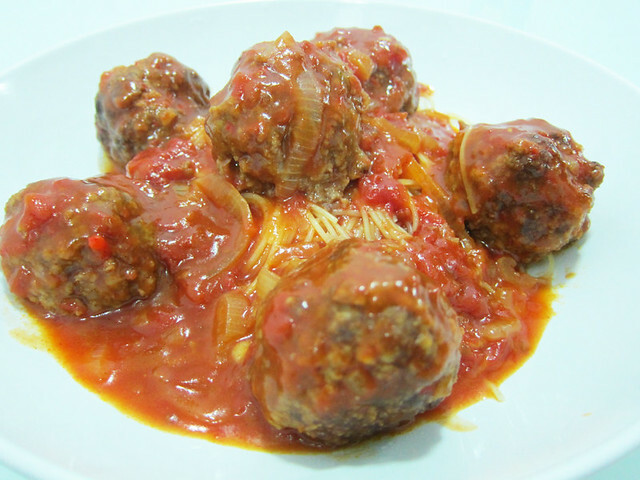 7 Responses to Spicy buffalo meatballs recipe. wer to get the buffalo meat from, kim ? i got mine from tesco, at the beef section. good luck! Hi Kim, can the choice of meat in this recipe be substituted by chicken meat? Would it be appropriate to? Thanks! Yes! But it’ll be slightly stickier to handle but manageable :) good luck!